Creet’tho completed most of the trek in silence, his charge content to stare at her surroundings while he navigated his way back to the wreckage. There was no smoke plume to guide him this time, but he’d logged the coordinates in his wrist computer to report to Command. He’d begun to feel a nagging sense of urgency, a subtle push at the back of his mind. He didn’t understand why, but there was no mistaking the feeling. His thoughts cast themselves back to the mysterious statement uttered by his charge in the outpost: something had blocked the communication device the Khaaneph used to communicate. But what? Kharak’s star was an older star, not prone to flares or instabilities. Solar interference had only occurred a few times in Creet’tho’s life, and only for mere minutes at a time, never hours or days. And, if the girl was to be believed, nothing had ever interfered with the Rakshiir her people wore. There was no explanation he could think of to account for both the failure of his radio equipment and the Khanneph’s unknown technology, and that lack of explanation made Creet’tho feel apprehensive. As he shifted his gaze across the fleeting dunes he felt for the first time in his life a faint feeling of the unknown, a small disquiet that had never before affected him. There was something out there that he couldn’t explain. Absorbed by his thoughts and feeling of discontent, Creet’tho didn’t distinguish the cruiser’s hull from the sand until he was jarred by a sudden exclamation of “there! Khaaneph sees it!” Startled, Creet’tho’s hands darted towards his rifle before comprehending her meaning. Leaning forward and squinting through the glare, he realized she was right. The boxy shape of the cruiser belied the sand’s best efforts to hide it. Despite only having wrecked a day ago, the desert was well on it’s way to erasing all evidence of the vessel’s existence, the cruiser’s form embraced by a shifting golden sea. The encroachment was not lost on the Khaaneph girl, who spoke again. “Hope way in not blocked” her tone was apprehensive “so much sand…” her voice trailed off, lost in a momentary gust, the grains hissing over the tarp that enveloped her. “I brought some equipment, just in case” Creet’tho assured her “we should be able to get in even if it is”. She nodded her silent approval and Creet’tho turned back and continued his mission, doing his best to push questions and uncertainties from his mind. No, he corrected himself: our mission. I do not know why…he…helped Khaaneph. Khaaneph would not do the same if Na’Kholem cruiser wrecked in sand. From twenty meters Creet’tho observed the wrecked cruiser with a mechanic’s eye, noting not only the design, but habitually forming a mental tally of all visible repair jobs for crew assignment. He felt a combination of excitement, and pride…and yet, a pang of sadness and longing gripped him. Looking down, he raised his right hand halfway, palm facing the sky. With effort, he was able to make a fist, although it caused him pain to do so. Once, he would have been in charge of salvage and repair of this extraordinary find. His gaze returning to the cruiser, he pushed down feelings of loss and felt his excitement return. How much would this find help his people? Only time would tell. Looking over his shoulder to check on his charge, he found her staring at him, seemingly studying him in curiosity. When his gaze met hers, she spoke suddenly. “What you called, sandworm? Sandworm is Khaaneph word. What word used by sandworm for itself?” Her expression showed no sign of her earlier contempt, her faced relaxed, her eyebrows slightly raised in curiosity. “We are Kiith Gaalsien, true followers of the Great Maker, Sajuuk. And I am Creet’tho, little Khaaneph girl”. He smiled at the last part, wondering if her people even had names. A sudden question came to him. Did the Khaaneph even differentiate between individuals? Her next question answered his. “You called Gaalsien, or Creet’tho? Which?”. “My people are called Gaalsien. I, alone, am called Creet’tho. It is my name. I am Creet’tho, of Kiith Gaalsien. Just like you are of the Khaaneph…but I do not know your name”. He gestured to himself as he explained the difference between Kiith and self, hoping that would help her understand. She sat in silence for a moment, pondering his response. “Each Gaalsien called by name?” She finally responded. “Yes” he replied. “Each alone, but…okay?” Creet’tho felt a wave of pity so strong his eyes stung. It was clear to him now that the Khaaneph didn’t have individual identities, at least not in the sense that he was accustomed to. It explained so much about her behavior, her poor language skills, and even her lack of propriety. And now she was alone, truly alone, in a way she may never have experienced before. She was also clearly pondering the concept that she may never be able to return to either her people nor the state of being that had been her entire existence. Creet’tho understood how she felt, and could empathize strongly with her plight. He, too, had lost part of his identity, part of what had made him whole. A large part of how he’d spent a lifetime defining himself was now gone, but her loss was even more profound. She had lost her people, her identity, and nearly her life. Yet, she drew upon an inner fire, as though the desert’s inferno itself lent her strength. An unexpected swelling of admiration for the girl filled Creet’tho’s heart. Reaching to his sides with both hands to release the harness straps, he turned to face her, squatting so that they were eye level. “Yes” he answered “we do not have the device you spoke of, the Rakshiir, I believed you called it. We are all one people, but we are also each our own person. We all have our own thoughts, fears, dreams, and aspirations, and we can choose to share those with others, or choose not to. We’re individuals, each with our own name. What is your name? Do you have one?”. She dropped her gaze, her head hanging forlornly. “I not know” she responded quietly, still gazing downwards. Creet’tho knew that statement went much deeper than merely being an answer to his question, felt the quiet uncertainty behind her words that edged towards despair. Creet’tho shifted his weight, leaning forward to place a hand on what he thought was her knee, buried beneath layers of protective tarp. He struggled for words, wanting to provide comfort, but was held back by a simple fact: he was her captor. Internally, he struggled with the idea that any comforting words would be hypocritical at best, and a lie at worst. “Let me tell you a story once we reach the cruiser” he said instead. She looked back up at him as he continued, and he met her inquisitive gaze with a small smile. “A story about a Gaalsien mechanic named Creet’tho.”. The pair trekked the remainder of the way to the cruiser, taking shelter from the sun in the shadow it cast. Creet’tho dragged the sled into the shade, then sat down, leaning back against the cruiser’s hull. Then, he began his story. The Khaaneph girl sat, seemingly enraptured, as Creet’tho relayed a brief history of a life spent serving his people, and his Maker. She watched his face, his eyes, and his gestures. Frequently during the oration she would inquire about his thoughts, feelings, or perspectives. In fact, she was the most attentive listening he’d ever known. Their situation, his inner turmoil, and her rapt attention caused Creet’tho to temporarily forget that he was speaking to his people’s most inexplicable and disturbing enemy, an enemy who’s belief, or lack thereof, contradicted everything he knew. Khaaneph know that sandworms…Gaalsien…are not like Khaaneph. Their communication equipment is easy to disrupt. Not like the Rakshiir. But did not understand that Gaalsien are many! Every one is like a tiny Khaaneph, but all alone. So odd that each one must talk with words for it’s whole life, not just during childhood as with Khaaneph. Creet’tho says each ‘person’ has it’s own thoughts and feelings, is “individual”, and only knows of others what is ‘told’ or ‘shared’ with child-speak. I do not understand how child-speak can be enough to share all: thoughts, feelings, seeings, touches. Gaalsien miss so much without a Rakshiir! It sounds so…lonely. Creet’tho speaks of loss. Khaaneph understand loss, Khaaneph feel all pain, all anguish, all loss. Creet’tho lost reason for being. So has Khaaneph. To Gaalsien, the Khaaneph were no better than animals. They were savages who worshipped no god. Animals, who slew children and ate the flesh of their own kind. Murderers, attacking seemingly out of nowhere, then returning from where they came. As the girl shared her story, Creet’tho realized the Gaalsien were right. The Khaaneph were all of these things…or had been. 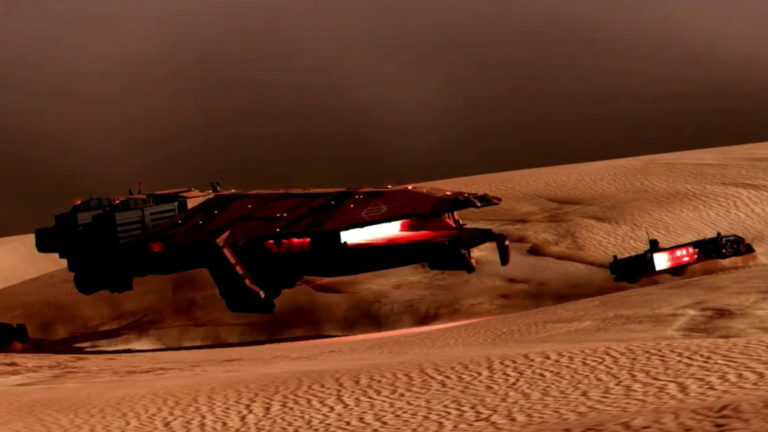 At one time, what the Gaalsien called Khaaneph had been many groups of desperate people, driven out of the more fertile areas of Kharak by rival Kiithids and forced to survive in the harsh, inhospitable desert. In their desperation, these lost souls had resorted to behaving like animals in order to survive. They had formed nomadic groups and begun attacking the Gaalsien and rival bands alike, stealing the supplies, ships, and food they so desperately needed. Nothing but survival mattered. There was no worship, no faith, and no mercy, there was only the fight to remain living in an incredibly inhospitable land. That is, until three decades ago when his charge’s grandfather and a few others had discovered a partially buried wreck in the sand, and had climbed into and accidentally activated a piece of equipment in the wreck while taking shelter from a sudden sandstorm. The equipment had implanted the Rakshiir, which changed life among the desert survivors forever. The Rakshiir provided instantaneous communication of all thoughts, feelings, and sensations to anyone and everyone that also had the device implanted, regardless of distance or any other factor. With the power provided by the Rakshiir, her family’s band had either assimilated or destroyed all others in the decade that followed their discovery. For lack of a better name, Her group had referred to itself for decades by the word the ‘sandworms’ used for them: Khaaneph. Listening to the girl’s story, Creet’tho realized the Gaalsien had been fending off multiple groups of desert raiders in the past, but faced a unified and more capable enemy now. The Khaaneph’s technological discovery explained why their attacks had become very well coordinated and even more deadly in recent years, something which had prompted the construction of the very outpost where Creet’tho was stationed. It did not, however, explain why her people attacked his. Her answer to this question was simpler than he’d expected. “We attack each other, Gaalsien Creet’tho. The strongest wins and survives. The weaker does not. It is the way of the Ko’Rhiim. Gaalsien know it, and so do Khaaneph. Khaaneph do what must to survive. Gaalsien do the same, and attack Khaaneph, just as Khaaneph attack you.” Creet’tho’ considered life as the Godless must see it. His people, despite lacking the Rakshiir device, were more technologically advanced and possessed far more resources than hers ever had, despite conquering all other desert groups. Her military observations were correct, as well: no Gaalsien would hesitate to capture or destroy one of the Unclean, and would feel entirely justified in doing so. He was able to view the situation from her perspective and grasp her conclusion, although the intention behind his people’s actions was not the same as hers. The Gaalsien existed for something far more important than mere survival; they sought to repent for their past transgressions and endured punishment on Kharak. The Kiith’s reason for being, and for violence, was righteous, not selfish. Or so Creet’tho had always believed. Once again he pondered whether the Gaalsien acts of violence towards the Khaaneph were a part of their path to redemption from the Maker. The Khaaneph destroyed only for survival, not a higher purpose. Does an act of destruction, wrought in the name of a creator, redeem itself? Or did any form of ‘un-making’ contradict the will of the Great Maker? These were questions that had not occurred to Creet’tho until today, and ones he did not have an answer for. An errant gust flung grit across the pair, the grains ricocheting off the hull they were sheltered against. “I thank you for your story, Khaaneph” Creet’tho said, rising from his cross-legged position, the sand spilling off his bunker coat and returning to the Waste. “However, we must search for your Rakshiir and return to the outpost before the morning heat makes that impossible.” Nodding and pointing to the area from where he’d rescued her yesterday, she agreed, responding in her usual imperious tone: “Go! End of Part 3. Read Part 4 here! I hope you enjoyed this piece! You can read Part 1 here and Part 2 here, and also check out my other stories: Reunion, and The Encounter. Art by Julian Schlottmann.